There is a book in our house that purports to contain all of the answers to my life's mysteries. It guides my parents' actions, teaching them how to handle challenges through anecdotes and sage advice. It is a comfort to them in times of madness and a source of enlightenment. It is the Baby 411 book, of course. 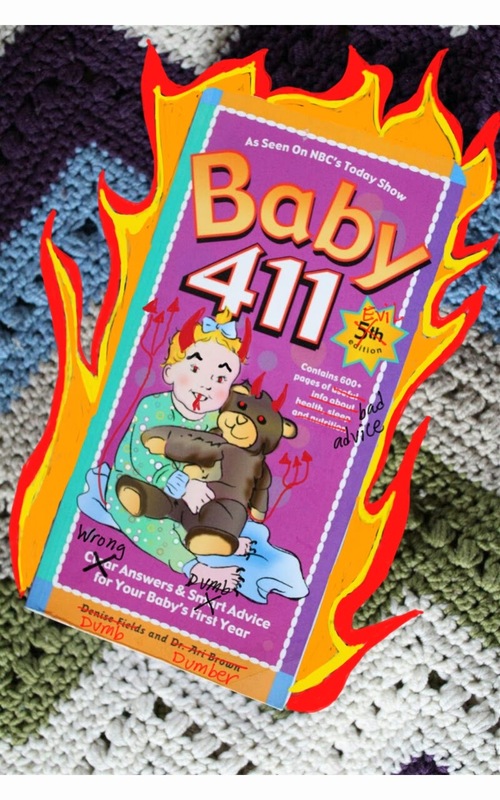 The Baby 411 book is this purple tome of rules and advice, written by a doctor and a mom who are the parents of some very unfortunate children out there somewhere. It tells my parents what foods I can eat and when, where I should sleep and with what, when to let me cry and for how long, and how to put me on a schedule. It's like an analog version of Kendall in the Park's stupid iPhone app. Those of you who read my mom's post yesterday about how they "accidentally" launched me into a shrub know they don't need a guidebook; they need a chaperone. This thing needs to go. Sometimes my Dad wants to give me nibbles of his dessert, and Mom flips open the infernal purple book, points to some paragraph, and says, "No." Other times, Mom wants to let me nap in my swing, but then she spends twenty minutes moaning about the fact that she's not supposed to let me nap in my swing because the book says so. So my feelings on the matter are that we should just burn the book, and then we will all be happier. Right now, we live each day as prisoners of the book's ridiculous expectations, and it that's just not American. This website contains three separate but related blogs: "The Nutshell Librarian," "The Nut," and "The Library." 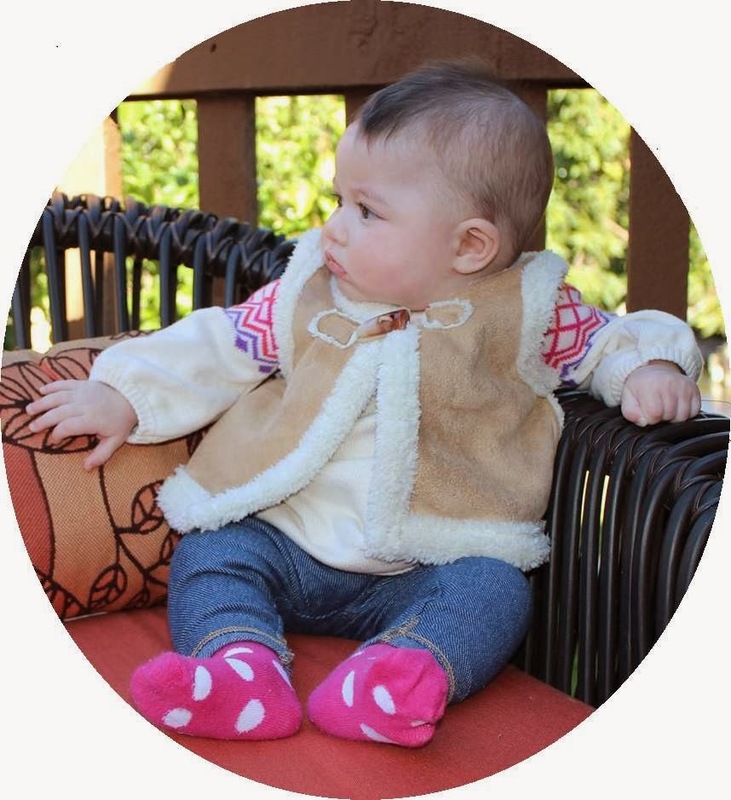 "The Nut" originally began as weekly emails written in the voice of my baby daughter. I send out one update per week to my and my husband's families because we live all on our lonesome out in California. These comic musings are part of how we maintain a community of relatives who are involved in all of the wonderful little things that happen with our little girl as she grows up on the other side of the country. I have included excerpts from my favorite emails here. The Nutshell Librarian is a collection of musings and experiences spanning my life both before and after the birth of my daughter (lovingly referred to as Little A in these posts). I guess it is kind of a "mom blog" because that's my main priority these days, but I swear I am an interesting person outside of my "M.O.M" identity, and I hope you think so, too. The Library is a place where I leave reviews of the children's books Little A and I are reading. I absolutely adore children's literature, so it is always a treat to share our favorites with other readers. An Open Letter to the Word "No"